You won’t always find yourself camping in an RV park with full utility hookups. There are many situations in the world of RVing where you won’t be able to rely on shore power to get all your creature comforts. In these situations, it’s nice to have a reliable source of power, and there’s one mainstay in the RV world where this power comes from, generators. With so many types of RV generators out there it may be difficult for a rookie RVer to know what to get. Let’s get to RV Generators 101. Before we get started on RV generators, let’s take a minute to talk about non-RV specific portable generators. If you are hauling a smaller towable, it may not be necessary to shell out for an RV specific generator. Towables like small travel trailers, teardrop trailers, fiberglass eggs and even many pop up campers can be operated on a less expensive portable generator. If you want to know if a portable generator will work for your RV, you will likely need to calculate the amount of power. You use in your RV. As the name implies, a propane RV generator utilizes propane as the fuel source to convert to electricity. Pros: Clean burning, propane is generally less expensive than other generator types. Because they burn efficiently, propane generators generally last longer than other types of RV generators. Cons: Propane powered generators generally don’t have as much power as gas or diesel-powered RV generators, so you’ll have to watch your power consumption. They can also burn through a tank of propane quickly, send you back to the refill station often. Pros: Gasoline is very available, so it’s very easy to refill a gas-powered generator or keep reserve fuel around. Gasoline RV generators generally have more power than their propane powered cousins so you can power more appliances at a given time. Cons: Smelly, gas is “dirtier” than propane, i.e. it has more impurities, this can shorten the life of a gas-powered generator compared to propane. Can’t leave leftover fuel in the gas-powered generator or it may clog up the generator. The most hazardous of generators though it is still very safe. Can be a gas guzzler. Pros: The most powerful of the generator types when comparing apples to apples. The best choice if your RV runs on diesel fuel like many Class A motorhomes, so you only need to use one fuel source. Cleaner burning than gasoline-powered generators. Safer than gasoline-powered generators. Cons: Smelly. Diesel is much more expensive than gasoline or propane and harder to find. The generators themselves are typically the most expensive. So Which RV Generator is Right for Me? There are a few different factors you will need to weigh when deciding what RV generator will work best for your ride. This will be one of the largest determining factors. If your RV runs on diesel, you likely have a lot of appliances, and only a diesel-powered generator can take care of. If you have a mid-sized RV that uses a moderate amount of power, then a gas-powered generator is a good choice. If you don’t need too much power, propane powered RV might be your best bet. To know how much power, you’ll need you will need to do a few calculations to determine your power consumption. Your best bet is to document your appliances and how many watts they use. Add these up, and you should be able to get a ballpark number on how much power you will consume when your appliances are powered up. Use this number when shopping for a generator. Pro Tip: Many appliances use a surge of power during startup, especially your AC. Calculate a small amount of extra power when compiling your wattage list. If you don’t like smelly fumes than you may pick a propane powered generator because it is the cleanest burning, followed by diesel than gasoline. Propane is the most environmentally friendly choice and easiest to travel with and fill up on the go. Generators can be a great addition to any RV setup. Think about how much power you use and what type of fuel you like best to help find the best RV generator for you. 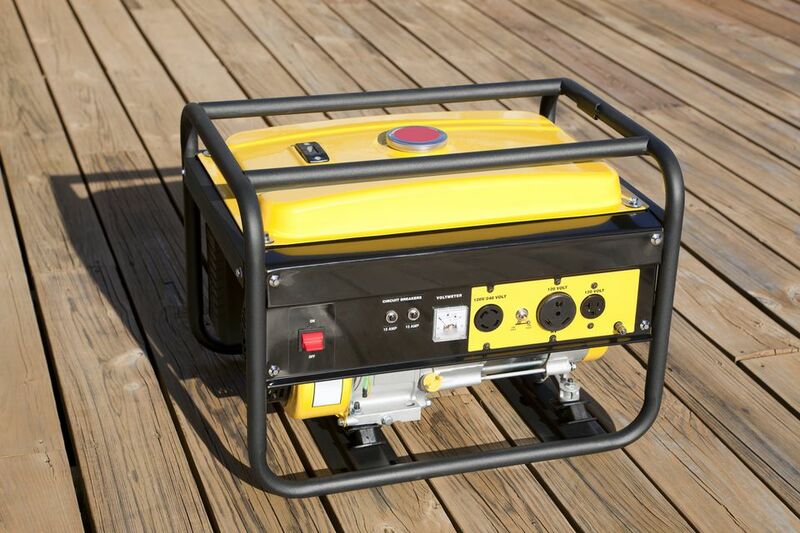 Budget for a generator if you plan on investing in one. They can be pricey depending on what you want to get out of it on your adventures.